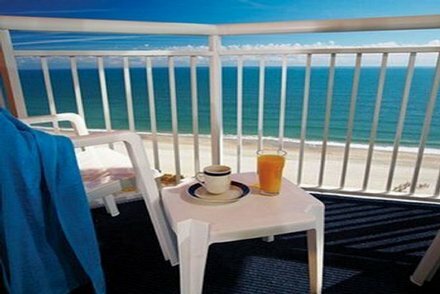 Myrtle Beach Retirement Condos: Your Heaven On Earth! Ahhh, retirement. A place you call home and feel as though you've just received a new lease on life. "Where should you retire?" is the question that often comes up well before it comes time. That answer is going to depend on what you want out of a retirement, of course. Your retirement might look like a vacation that never ends. Another person's vision of retirement might be one of home comforts. There is one place that has caught the attention of thousands of retirees: Myrtle Beach retirement condos. In fact, it is regularly in the top three fastest growing cities in America. Want to know more about this amazing retirement destination? Check out this guide for more reasons why Myrtle Beach retirement condos are the best! Florida might have more shoreline and more sun, overall, but Myrtle Beach South Carolina is still better. Why? Well, the summers aren't as harsh, for one. You will notice how Florida gets into triple digits a lot. The threat of hurricanes also poses a problem living further south. Myrtle Beach retirement condos will enjoy mild temperatures for at least 9 months out of the year. Winters can get cold, but nothing beyond wearing a good heavy coat. Snow falls infrequently and averages only two to three inches per year. The sun shines for two-thirds of the year, so moods are naturally brighter around you. Great weather means better driving conditions, better beach life, and outdoor sports. Temperate weather also makes Myrtle Beach retirement condos more affordable (the AC runs less). Get on the beach! Which beach? Well, there's the Grand Strand, which spans over 60 miles of pearly white sands. There's plenty of space for your to walk, play, and lounge in privacy. This is one of the main reasons that people go to live in Myrtle Beach retirement condos. It has seen many expansions and reconstructions over the years. The allure is in both the natural sights and the great community of businesses. You can find your own little nook of happiness along the beach, free of annoying neighbors and noise pollution. Just make sure you stock up on lots of sunblock, wide-brimmed hats, and southern-style iced tea. Trying to decide which city provides you the best opportunities to golf? Well, if you decide to pick Myrtle Beach retirement condos, you'll have access to over 100 golf courses. Many of these courses are frequented by the pros for tournaments and charity events. This is a great place to go for both beginners and experienced amateur golf players. Myrtle Beach is home to world-class clubs and golf resorts. There is a great mix of both free public courses, semi-private, and private courses. If you have grandchildren, you'll be happy to hear that they get to play free at private clubs for under 16. 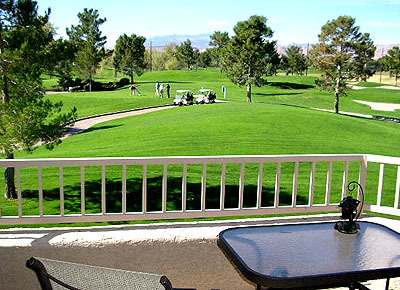 Golf is also very commonly included in vacation packages. This is arguably the best way to enjoy Myrtle Beach's weather, outside of being on the beach. If golfing isn't your thing, then don't worry, there are plenty of other great outdoor activities! Your backyard is your playground at Myrtle Beach retirement condos. If you're of the adventurous type, you have plenty to choose from. The beach has surfing, jetskis, windsurfing, boating, scuba-diving, and paddle boarding. You can likewise go on sightseeing and adventure tours. If none of these interest you, you can stay in the sand and go on a marine science scavenger hunt! Sandcastle building is another popular pastime popular among retirees with grandchildren. There's plenty of surrounding parks, trails, gardens, and reserves to keep you connected with nature. Retirement doesn't need to be one of monotony and sitting, thanks to having easy access to the outdoors. There are two beautiful state parks in the Myrtle Beach area, including Myrtle Beach State Park and Huntington Beach State Park. Each beach park offers peaceful, natural coastline with surf fishing, nature trails and campgrounds and plenty of space where you can walk the beach. Myrtle Beach State Park is home to Myrtle Beach Pier, as well as cabins built in the 1930s that you can rent. 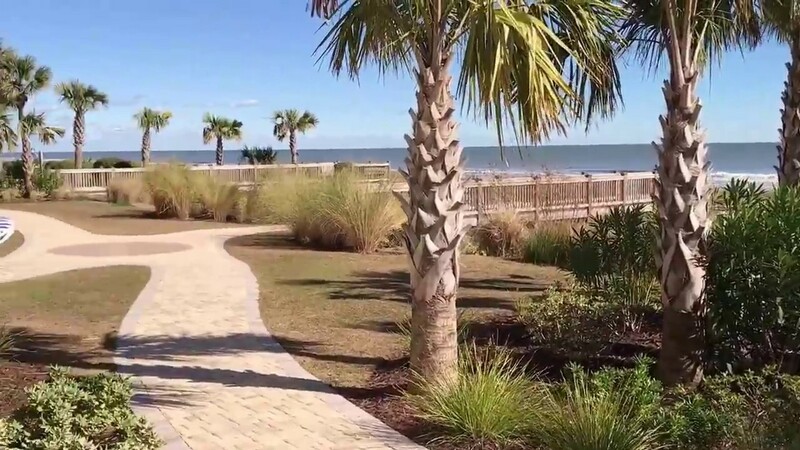 A classic Myrtle Beach experience, walking the just over a mile-long boardwalk is a great activity for families and one of the area's top attractions. Beach activities from sunning and swimming to volleyball and surfing run alongside, as well as a variety of restaurants, arcades and stores, giving you the true flavor of the Grand Strand. Not only can you burn a few calories, but the people-watching is excellent. The boardwalk runs from 14th Avenue Pier to the 2nd Avenue Pier. Just because you live on the beach, doesn't mean you will be restricted on choices to eat and shop. Plenty of restaurants line the Grand Strand. These restaurants span a variety of cultures and cuisines. You can have some of the best seafood in the world, as well as great vegetarian dishes. American staples, such as BBQ, soul food, burgers, and hot dogs are plentiful. You will find plenty of great ethnic foods, too; Indian, Thai, Chinese, Japanese, and more. Shopping is convenient and plentiful on the Grand Strand. You have the Coastal Grand Mall, Tanger Outlets, and numerous beach suppliers. 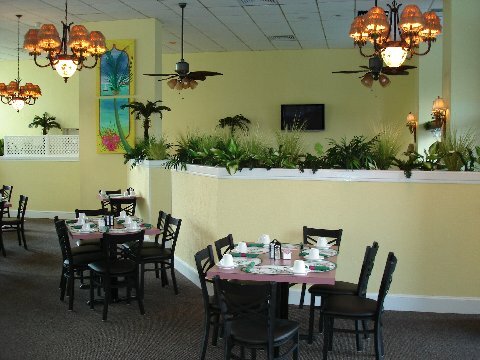 Many Myrtle Beach retirement condos have their own restaurants and shops, too. Myrtle Beach is actually a great place to find bargains. The outlet malls have always been a hit, because who doesn't love a good deal? If you travel along the 501 highway, you'll find plenty of affordable shops and eateries. It should not be underestimated how ideal Myrtle Beach retirement condos are for retirees. If you want your retirement to stretch as far as possible, this is a great place. The state of South Carolina is ranked among the best tax-friendly states, overall. This is due to a low sales tax, property tax, and below-average income tax. It's not often that you see waterfront properties being considered affordable. If you're collecting Social Security, you don't have to worry about being taxed. On top of that, your retirement-related income counts as a deduction on your taxes. South Carolina calculates your property taxes based on a four to six percent sliding scale. Myrtle Beach retirement condos also qualify for homestead exemption. This is partly why Myrtle Beach is always ranked lowest in the country for property taxes. All residents get an 88 percent tax credit. If you have the freedom to retire wherever you want in the country, that's amazing. I'm sure you have a number of iconic locations to choose between. The question becomes "How many of these places are considered 'retirement' destinations?" 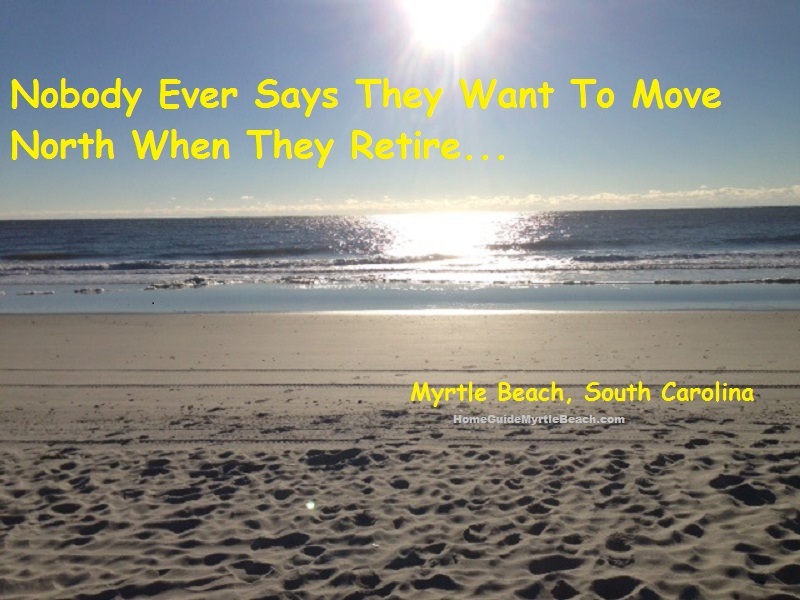 The answer to that question is easy for Myrtle Beach retirement condos. This is a place that is able to prosper because of their older residents. That means you will not ever have to deal with neighbors who don't respect retirees' wishes. Is it true that you are searching for a peaceful community where your neighbors share your interests and are around your age? There are a few retirement groups in the Myrtle Beach region that host only individuals who are 55-plus. These groups offer a large selection of comforts including clubs, indoor and open-air pools, dance halls, libraries, bars, and plenty more. A standout among the best places to live is Myrtle Beach retirement condos. In this concealed residential area, you have help for finding access to everything. Whether you want to golf, walk along the Atlantic, or meet and befriend new people while having the peace and calm a residential community can offer. While going out and living on the beach is great, the Myrtle Beach retirement condos is likewise a place that thinks about their occupants. Having the capacity to lead a dynamic way of life, retirees will discover a lot of ways to give back. Religious associations, cultural gatherings, career affiliations, age-restricted parties, and business sponsors. All of this will open up opportunities for volunteers while offering ways to give back to the place we call home. Supporting local businesses and the local economy is a way of life. Myrtle Beach is all about community and not escapism or anti-social living. Another draw to Myrtle Beach retirement condos is the undeniable kindness of residents. You travel to the south, you get taken care of. Period. People from up north are kind and respectful, sure, but not like the south. This is that type of hospitality that you never asked for but glad you got it. 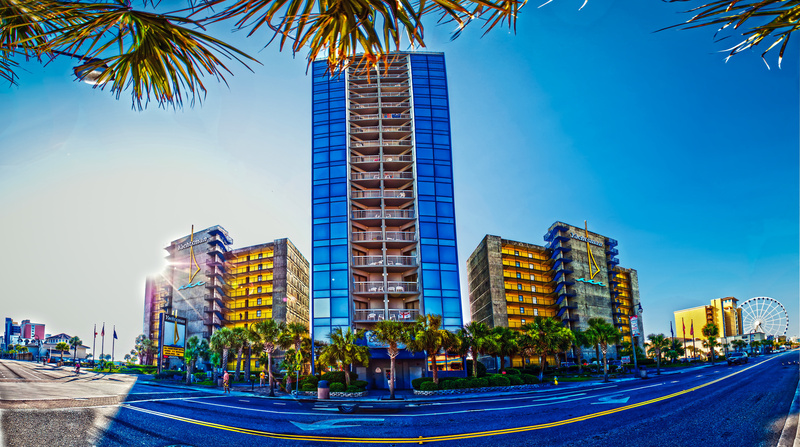 Going above and beyond the call of duty is just how Myrtle Beach operates. The kindness is genuine, just as genuine as the homemade pies. Many have asked, "Why are people so friendly in southern states?" The answer can be a few different reasons. You'll notice everything moves just a few notches slower in the south. The syrup pours a little thicker, the vowels are stretched out, and the tempo is a bit slower. 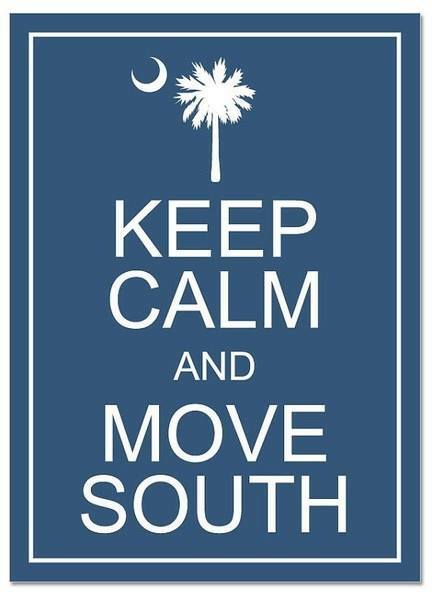 Unlike the big cities, southern folks aren't in such a big hurry. Who wants to retire in a place that feels like a beehive closed off to the outside world? Integrity and respect are the most valuable currencies in Myrtle Beach. That's why hospitality is reliable and authentic. If you've been following our blog, you'll probably hear a lot the perks of moving to Myrtle Beach. One topic that doesn't get covered as much on the internet is how it's in your health's best interest to move here. Myrtle Beach has some of the best hospitals in the country. You have access to the latest and most effective treatments in the world. For example, Grand Strand Medical Center has facilities and trained medical staff for seniors. They treat some of the highest volumes of senior patients. There's nothing more comforting than knowing you're among experienced professionals when it comes to your health. Grand Strand is also the best cardiac surgery facility in the State. As morbid as it may be, it should be considered. South Carolina will not tax your assets on top of federal rates. This means both inheritance and estate taxes stay at federal rates. Sometimes these surprise taxes can really make the grieving process much more stressful and drawn-out than it should be. Make sure you have all your ducks in a row before deciding on a place to retire. Well, there you have it, a glimpse at what the beautiful Myrtle Beaches has to offer retirees. If, after reading this guide, you feel compelled to take the next step, then you're at the right place. We have all the tools and information you need to find your dream retirement home. Go ahead and start browsing some of the properties to see what you like. Get a general estimate to see if it is in your price range. Once you have a good idea of what you want, contact us to start planning your move. Our real estate experts are standing by to answer any questions you may have. We want to make your last big investment a good one. Why not live out the rest of your life on the sunny sands of South Carolina?